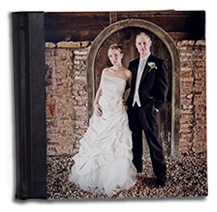 Each spread is printed on professional quality photographic paper and mounted to the album pages giving a seamless finish. Each album starts with spreads ( 0 pages). You can add more spreads as required up to a maximum of 40 spreads. HOW MANY SPREADS WILL I NEED? Depending on how you design your album, you could have 1 photo displayed across one whole spread. You could also show multiple smaller images on a spread. 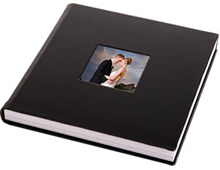 So in our experience, a 10 spread album will typicall take between 20 and 50 photos. 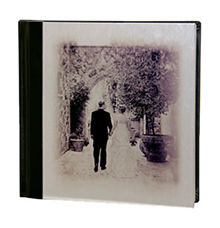 The Strauss album has a brushed metal effect cover featuring a picture of your choice. It is finished with classic black leather. With your current selection, you can SAVE money by availing of our Complete Package Deal. See our Complete Package info at the bottom of the page for full details on what is included. GET THE COMPLETE PACKAGE AND SAVE!